NEW! 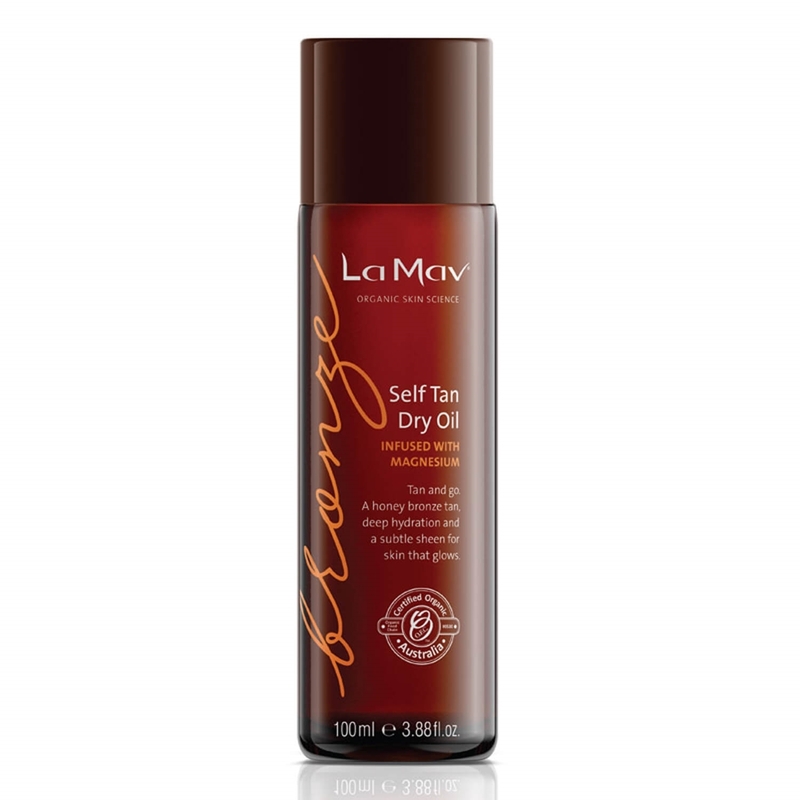 La Mav Bronze Self Tan Dry Oil is a deeply hydrating self tanner with Argan and Macadamia Oil. 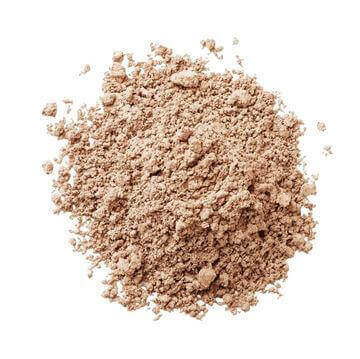 Infused with Magnesium and Green Tea Extract to nourish skin and extend the life of your tan, this self tanner will give your skin the ultimate bronze glow! Dries immediately. No staining, no smell, no fuss. Just gorgeous, glowing skin with a light sheen. Ready, set, glow! 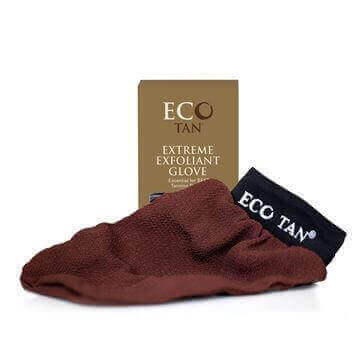 • Lightweight, quick drying oil, with no ‘fake tan’ smell. • Infused with Magnesium to stimulate protein synthesis and promote the production of collagen and elastin. • Argan Oil is rich in Vitamin A, C, E and F, Omega 9 and Squalene and has clinically proven skin healing and anti-ageing properties. 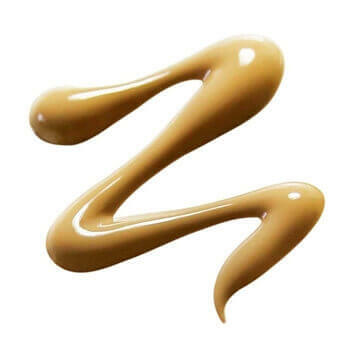 • Macadamia Oil deeply hydrates dull and dry skin, leaving it feeling soft, with a subtle sheen. • Green Tea Leaf Extract contains polyphenols that calm and soothe, reducing redness and inflammation. 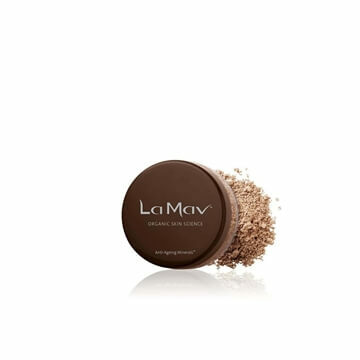 Directions: Exfoliate prior to use with La Mav Summer Skin Salt Scrub or Exfoliating Mitt. Apply liberally to clean, dry skin using long, slow strokes until absorbed. Wash hands thoroughly after application. 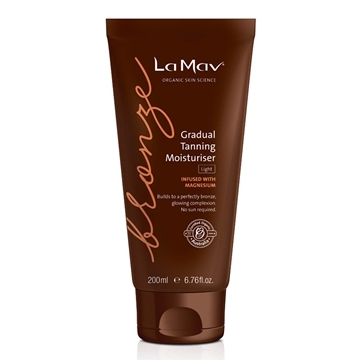 Rinse off after four hours or re-apply after one hour for a deeper bronze. Colour will continue to develop for up to 24 hours. 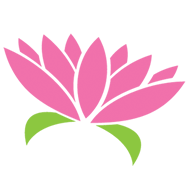 *Aloe Barbadensis (Aloe Vera) Leaf Juice, Propandiol, Dihydroxyacetone, Magnesium Chloride, Glycerin, Decyl Glucoside, Aqua, Sodium Levulinate, Sodium Anisate, *Macadamia Integrifolia (Macadamia) Seed Oil, *Argania Spinosa (Argan) Kernel Oil, *Camellia Oleifera (Camellia) Seed Oil, Glyceryl Caprylate, Lactic Acid, Caramel, *Camellia Sinensis (Green Tea) Leaf Extract. 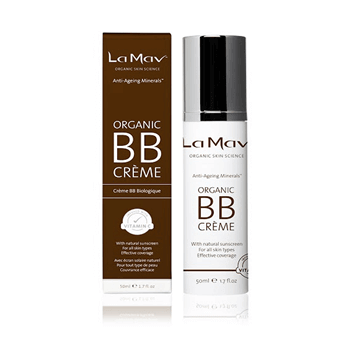 *An Australian Certified Organic ingredient.